When you hear the word “construction” what’s the first thing that comes to mind? Do you imagine yellow hard hats, orange cones, and men outside at work for long hours during the summer? Or do you envision diagrams, calculations, timelines and spreadsheets? The majority of people would picture the former, and that’s OK. But the diagrams and spreadsheets are necessary aspects of the behind the scenes work of a construction job, done by architects, engineers, estimators and managers. Alongside these overlooked positions is the recognition of women in construction and the importance of women in a primarily male dominated field. But Michigan Paving & Materials, Stoneco of Michigan and Cadillac Asphalt are working to change that perspective. Rick Becker and Heather Smith spoke on how to make Women more confident in the industry. 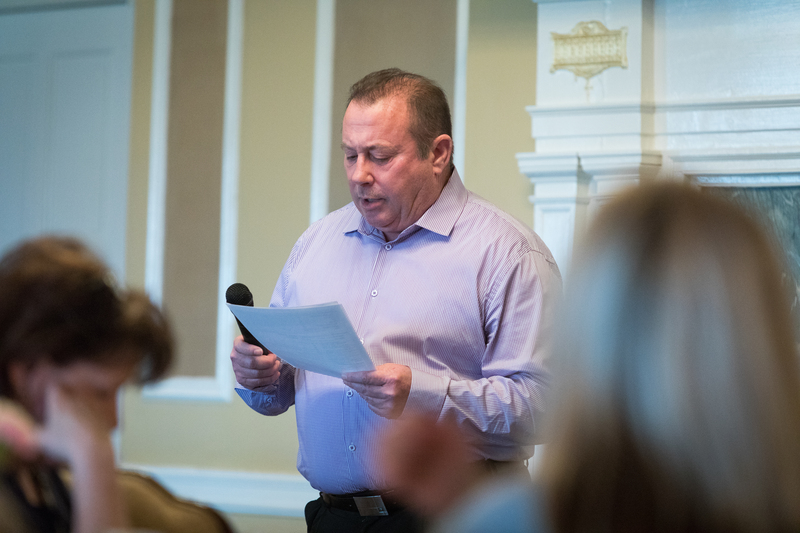 Richard Becker, President of Michigan Paving and Materials Co., spoke at the Women in Construction event. 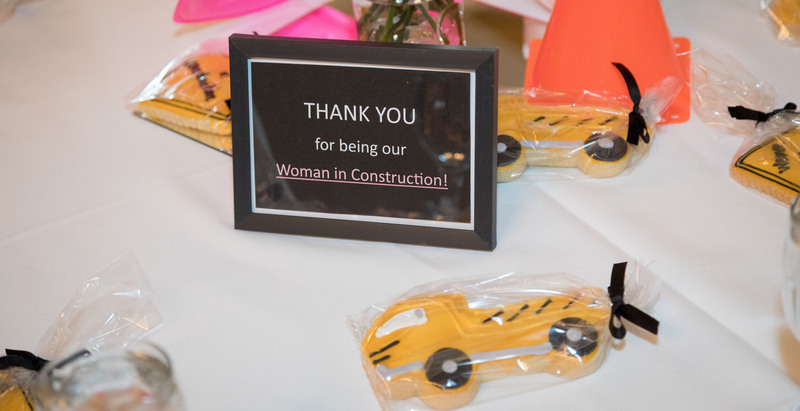 A luncheon held for all 131 women employed at Michigan Paving, Stoneco and Cadillac Asphalt, LLC, attendance including over 70 of the women. Becker highlighted the importance of inclusion and diversity in construction, and how Michigan Paving actively incorporates these values into their workforce. Nationwide 82% of the workforce are white men. 7% of senior management positions are filled by women. Within CRH Company as a whole 17% of total employees are women. And between MPM, StoneCo and Cadillac Asphalt 19% of employees are women. Becker is proud of the fact that Michigan Paving was one of the first in the industry to have an aggregate sales-woman. He calls out the number of women within the company that work both on- and off-site, as well as those who move from the office to a field position. More and more women are entering the construction industry, and Michigan Paving, their partners Stoneco and Cadillac Asphalt, and Michigan Construction are the companies at the forefront of this movement. 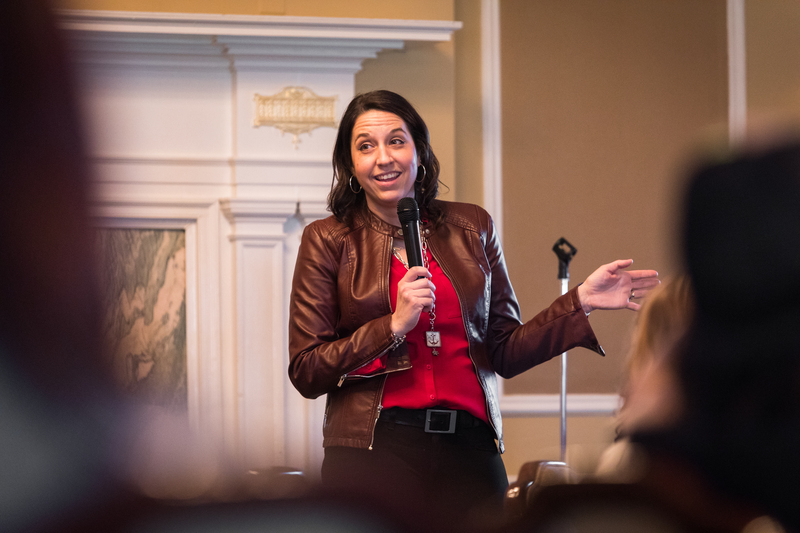 Heather Smith, Director of Marketing at Michigan Construction and Director of Engineering at the Michigan Concrete Association, rounded out the speakers at Michigan Paving’s luncheon. Focusing on the success she's found as a woman in a male dominated field. As Becker mentioned the current number of women in construction within CRH company, it hasn’t always been this way. Smith was one of a few women in her class at Michigan State University studying civil engineering. Through personal experience, these are her “10 Tips for Success” for women in construction or another male dominated field. Be and aggressive lifelong learner. Don’t be afraid of new leadership opportunities.